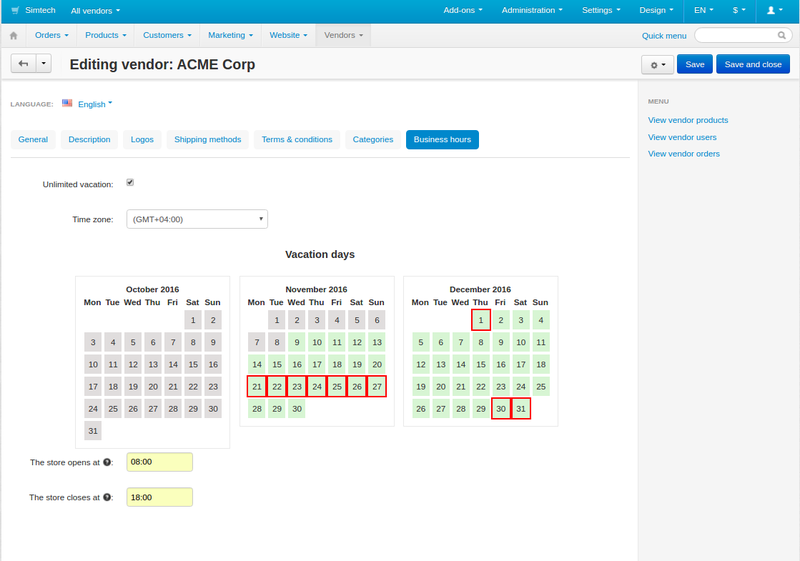 Allow your vendors to set up their working days. Some vendors are ready to deliver products 24/7. Others, work nine-to-five, close for national holidays, and so on. 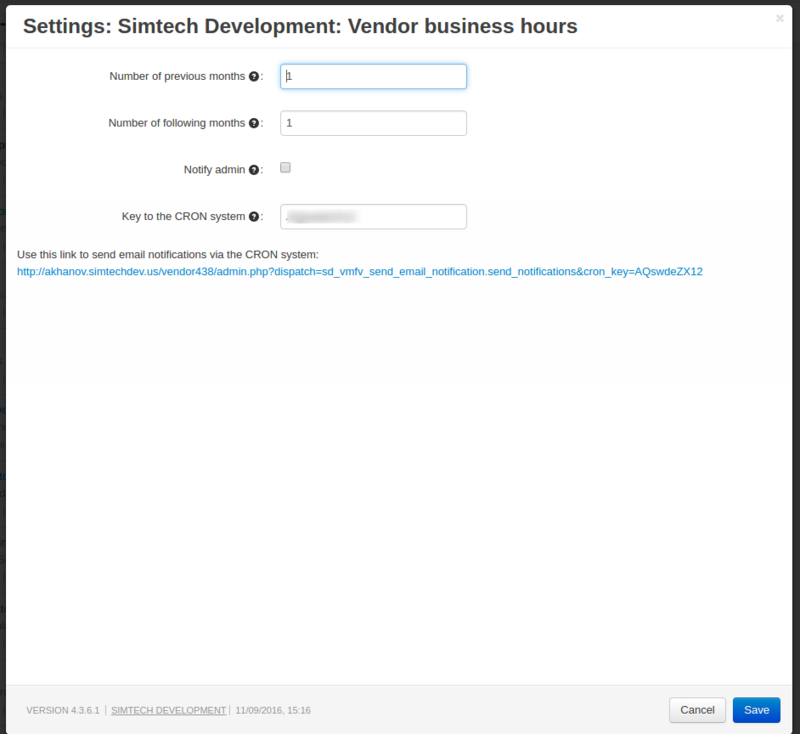 The Vendor Business Hours extension allows you to set the dates and time when the vendor’s store is open and hide their products when their store is closed. — If a customer follows a direct link to the product page of a vendor that is not working at the moment, the product will be shown, but the purchase will be unavailable. The add-on is compatible with CS-Cart Multi-Vendor 4.3.6 and above. [+] The functionality that allows keeping vendor products available for sale during non-working hours and on weekends has been added. [+] "The “Allow sale on weekend” and “Allow sale during non-working hours” setting for the store administrators have been added. These settings enable the store administrator to allow vendors to chose whether to sell during non-working hours and on weekends. [+] The "Allow sale on weekend:" и "Allow sale during non-working hours:" settings available for vendors have been added. These settings allow vendors to make products available and unavailable for sale during non-working hours and on weekends. [!] The add-on was incompatible with the default Vendors Debt Payout add-on in Multi-Vendor version 4.8.1. Fixed. [!] The administrator received emails from last registered vendor. Fixed. [~] The add-on became compatible with CS-Car 431 - 436 Ultimate and Multi Vendor.